To reinforce the platform security, all users with an Other or Friend student type will have a limited access to the platform unless their accounts have been verified by a school administrator. 1. Go to the 'Administration' section. 2. 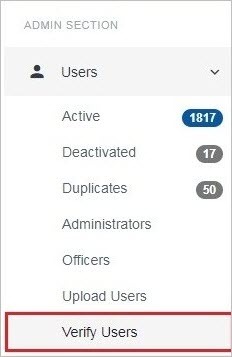 Click on 'Users' and then 'Verify Users'. 3. Click on the 'Verify' checkbox to verify the account.